Most girls will not want to eat out in their own neighborhoods, therefore you will have to go to a nearby town when you eat out. For example, a girl from Brooklyn won't want to eat out in Brooklyn so you would take her to Manhattan or Queens. Also one more restaurant tip: There are two ways to go on an eating date. 1) You decide if you are going to a meat or dairy restaurant. 2)You let the girl pick (which she may or may not do, either way you score points because you offered the option.) if you choose option two, have at least one meat and one dairy restaurant option available. There are 3 general types of restaurants: formal, casual, and cafe/dessert places. Formal restaurants are usually fancy and a lot of times expensive but not always. 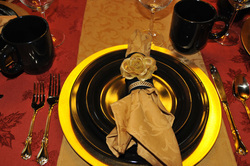 There are actually formal restaurants that are not especially fancy it really has more to do with the service provided. But basically formal and casual come in two flavors: Meat and Dairy. The cafes/desserts are generally milchigs and often have a lighter menu, but are a good place to sit and shmooze and to have a drink and something to eat while you are doing that.